The most complete service in Cambridge. 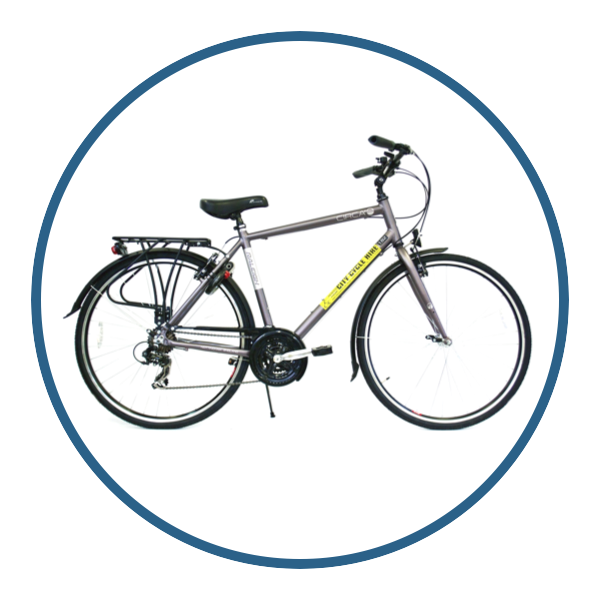 If you need a bike for just a couple of hours or as long as a few months you have found a unique service and the best option in Cambridge, with a personal touch. 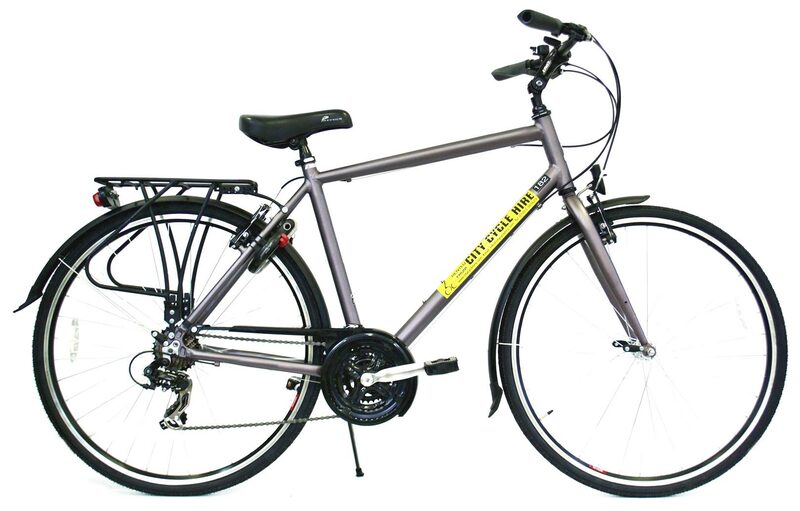 No alternative will compare on price or reliability and no other shop in town offers a complete cycling package. 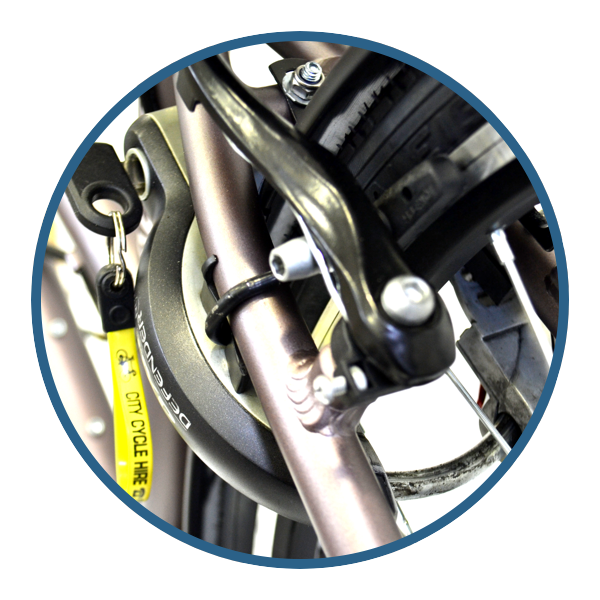 We can offer you not just a well serviced bike that is comfortable to use but also we will provide you with all the additional equipment and support that you are going to need to keep you and your bike safe. We’ll cover all maintenance issues here at our store (most repairs take just a few minutes) with no appointment needed and for no extra charge. Other services include accessory and lost key replacement (terms apply). Please don’t hesitate to get in touch with us if you are having problems with your bike and are unsure of what to do. Here’s how we set up the bikes for you. 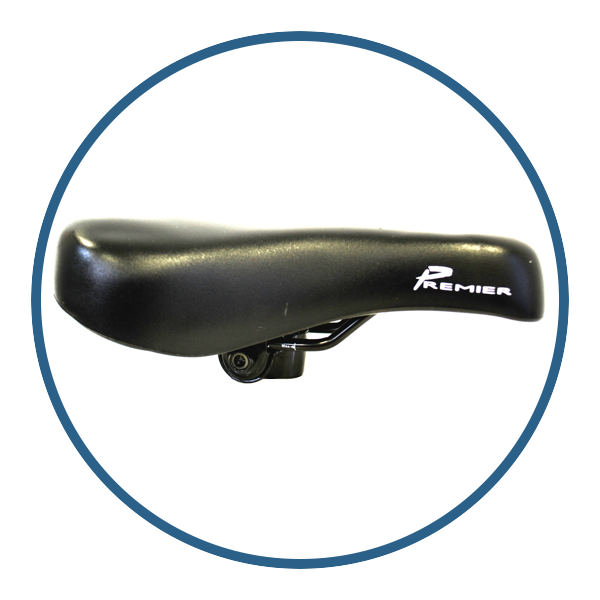 A comfortable and waterproof saddle is essential. 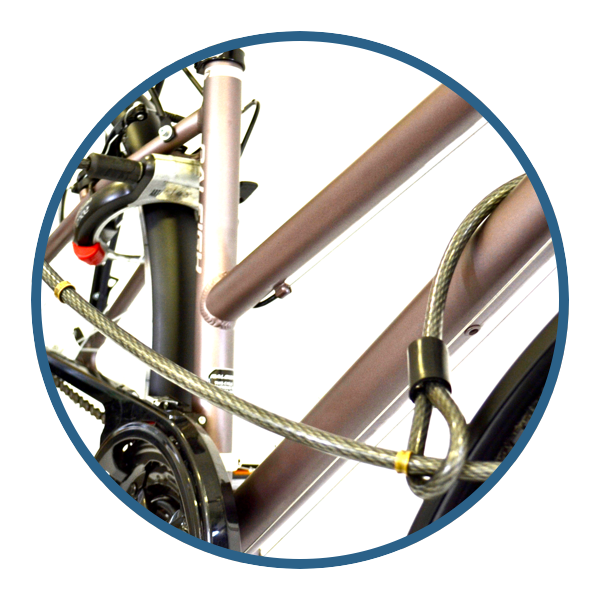 All bikes are provided with a high security lock and cable so you can always secure your bike. 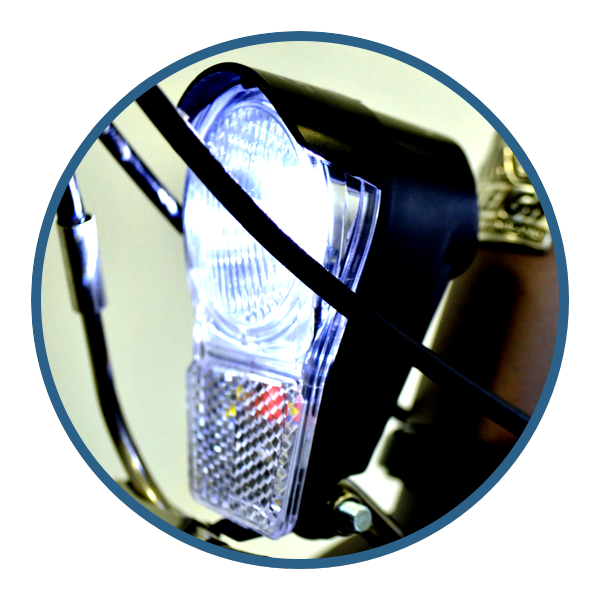 A front light is fitted to keep you safe at night. A chain guard means your clothes stay clean. 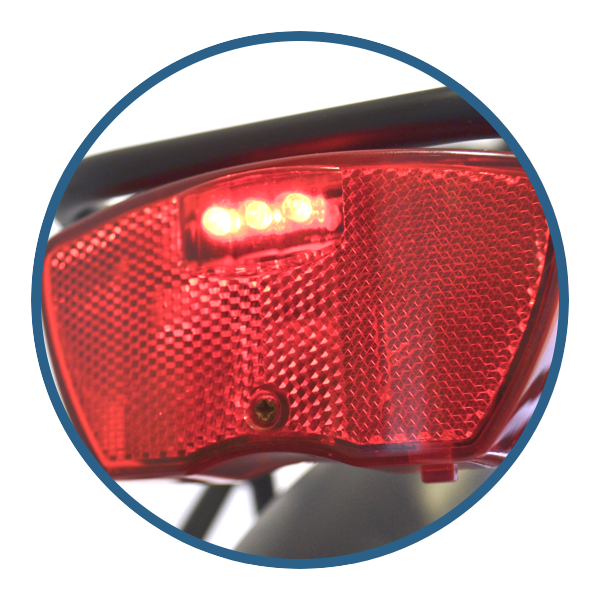 Bright rear lights are provided on all bikes. 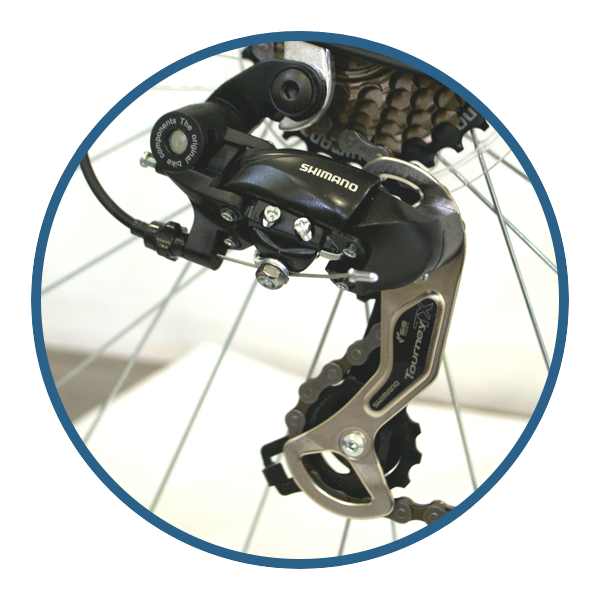 Shimano gears offer a smooth ride. 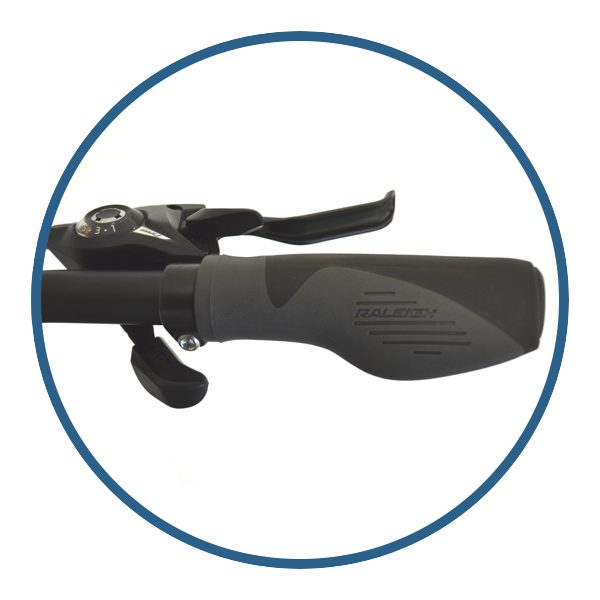 Comfortable handlebar grips equal a pleasant ride. 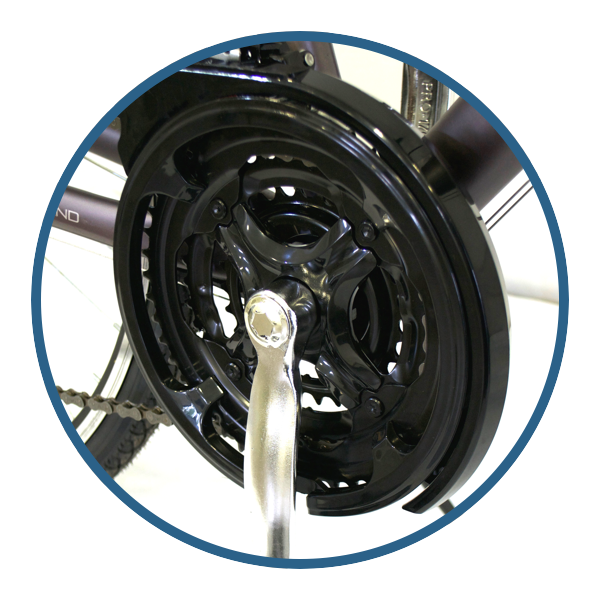 Our bikes are serviced and cleaned before each rental to guarantee you reliability and a safe ride. Visit us for the best service in town. We advise not to use headphones on a bike.